Opened in 1904; the picture (left) was taken in 1907 - the teacher might be Edith Margaret WOOD. Thanks to Alison WATSON for the photo. 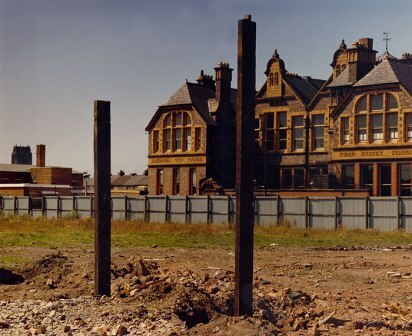 Below is a picture of the school before it was demolished a couple of years ago. I will check sources for these photos. 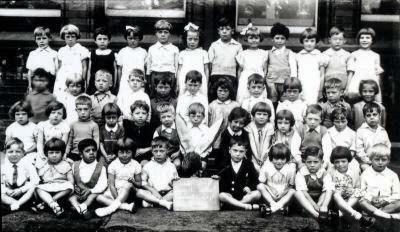 Above: an infant class from 1935 (source not yet checked. Below - Class 1A from 1957, courtesy of Ken Roberts who also contributed photos of the school to toxteth.net. 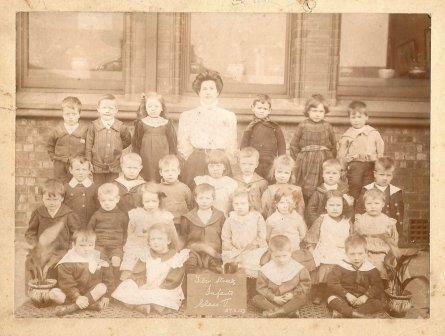 The school took in children from Dove St Infants when that closed in the mid 1990s, and then itself amalgamated with Granby St to form Kingsley Primary around the turn of the Millennium!